This is the 43rd Annual, "must attend" conference for the latest information for Nurse Practitioners and Physician Assistants. Those who participate in this continuing medical education conference will receive hours/credits for their attendance. This informative "meeting-of-the-minds" will stimulate your thinking through didactic lectures, lively debate, complex case studies and engaging workshops. Distinguished faculty will present cutting-edge information on the diagnosis, management and treatment of common conditions, diseases, and problems. The Snowbird CME conference is designed for nurse practitioner, physician assistants, and all those interested in an update to hot topics and information related to the daily needs of nurse practitioners and physician assistants. Nurses, allied health clinicians, and students are encouraged to attend. The sessions will be held at the Snowbird Center (Main Tram building on Level 2), in the Cottonwood room, with Exhibits in the Rendezvous room. Signs will direct you to the conference registration desk and meeting rooms. Park in Snowbird's Entry 2 parking lot. In an effort to be environmentally friendly and to keep tuition fees low, the syllabus and speaker slides will be available online only, some time after August 1, 2018, registrants will receive a login and password by email to view the Syllabus and Speaker Slides. A block of rooms has been reserved at the Lodge at Snowbird and the Cliff Lodge. Please plan to make room reservations after April 19, 2019, and please call Snowbird Central Reservations at 1-800-453-3000, or email lodging@snowbird.com. Reservations should be booked before July 5, 2019, though we recommend that you make your room reservation before this deadline. Individuals should identify themselves as part of the PHYSICIAN ASSISTANTS/NURSE PRACTITIONERS group to receive the discounted room rate. A Snowbird reservations coordinator will collect a deposit (first night's lodging) via credit card at the time the reservation is made. THE RATE AND $10.00 per room per night RESORT FEE is DISCOUNTED from its usually amount. BOTH subject to INCREASE after the reservation deadline. Lectures with discussion comprise the format for the conference and physicians are encouraged to bring questions. On Wednesday, there will be a Social and Dinner with Speaker in the evening. The 42nd Annual Snowbird CME conference has been approved for 19.5 contact hours. This continuing nursing education activity was approved by the Western Multi-State Division, an accredited approver by the American Nurses Credentialing Center's Commission on Accreditation. 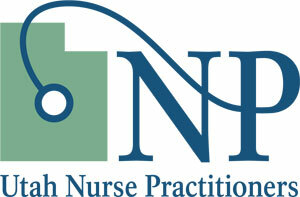 Arizona, Idaho, and Utah Nurses Associations are members of the Western Multi-State Division. This activity has been reviewed and is approved for a maximum of 28.00 AAPA Category 1 CME credits by the AAPA Review Panel. PAs should claim only those credits actually spent participating in the CME activity. The Snowbird CME Conference Planning Committee reserves the right to make changes and updates to the conference schedule, format, or any other Snowbird CME Conference details or arrangements at their discretion. Who can participate in the conference Only conference Participants are allowed in conference registration, classes/sessions, dining, and vendor areas. No children are allowed in the conference rooms or areas. READ THIS DOCUMENT COMPLETELY. ITS EFFECT IS TO RELEASE THE UTAH PA/NP CONFERENCE PLANNING COMMITTEE MEMBERS FROM ANY LIABILITY RESULTING FROM YOUR PARTICIPATION IN THE UTAH PA/NP CONFERENCE INCLUDING ANY ACTIVITIES OR EVENTS ASSOCIATED WITH THIS EVENT, AND TO WAIVE ALL CLAIMS FOR DAMAGES OR LOSSES AGAINST PLANNING COMMITTEE MEMBERS WHICH MAY ARISE FROM SUCH ACTIVITIES OR EVENTS. AS A PARTICIPANT IN, AND REGISTRANT OF, THE UTAH PA/NP CONFERENCE, I HEREBY ASSUME ALL OF THE RISKS OF PARTICIPATING IN THIS MEDICAL EDUCATION EVENT, including by way of example and not limitation, any risks that may arise from negligence or carelessness on the part of the persons or entities being released, from dangerous or defective equipment or property owned, maintained, or controlled by them, or because of the their possible liability without fault. I acknowledge that I am exercising my own free choice to participate voluntarily in the above-named activity, and am promising to take due care during such participation. I acknowledge that I have been informed of the nature of the activity and that I am aware of the hazards and risks which may be associated with my participation in the above-named activity, including the risks of bodily injury, death, or damage to property which may occur from known or unknown causes. I INDEMNIFY, HOLD HARMLESS, AND PROMISE NOT TO SUE the entities or persons released above from any and all liabilities or claims made as a result of participation in this activity, whether caused by the negligence of releasee or releasees or otherwise. I understand that I am solely responsible for any costs arising out of any bodily injury or property damage sustained through my participation in normal or unusual acts associated with the above-named activity. The Release From Responsibility, Assumption of risk, and Waiver shall be construed broadly to provide a release and waiver to the maximum extent permissible under applicable law. I have had sufficient time to review and seek explanation of the provisions contained above, have carefully read them, understand them fully, and agree to be bound by them. After careful deliberation, I voluntarily give my consent and agree to this Release From Responsibility, Assumption of Risk, and Waiver. Further, by registering for and attending the Utah PA/NP “SnowbirdCME” Conference, you agree to hold harmless and releaase from liability, Members of the Utah PA/NP Conference Planning Committee (“We”). We are not responsible for vendor reps, their products or services, or their medical advice. Know that you, as a conference Participant, have a choice and can walk away from discussions with Vendor Reps and that you are not obligated to use their products or services. READ, UNDERSTOOD, AND AGREED TO BY AUGUST 6, 2019.